For years, laser hair removal was inconveniently expensive. Laser hair removal used to be an option only available at dermatology or licensed offices, costing hundreds of dollars per treatment. However, in the last few years, there are now an increasing number of at-home laser hair removal options. These at-home laser hair removal systems are now another DIY hair removal method like at home waxing or shaving, and last longer. While initially, these systems only worked for dark hair on light skin, now there are options for a wider range of skin and hair colors available. Many of these laser hair removal systems for home use are reasonably priced and highly effective, and a great solution for anyone looking for long term hair removal. We’re written this guide to help determine if at home laser hair removal can work for you and reviewed the best systems available today. To skip ahead in this guide, please expand the table of contents below. 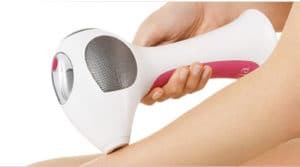 We have been using various at home laser hair removal devices for several years now, starting with a Remington system, then a Silk’n, and later a Tria. There have been so many advancements especially in the last 3-4 years and the systems available today are easier to use and more efficient than ever. Let us take a look at the best 5 laser hair removal systems available for at home use today. The Tria Laser Hair Removal 4X beats other at home laser hair removal systems and devices on more than one front, easily taking the top spot. Let’s break it down. The Tria Laser Hair Removal 4X is a laser hair removal not an IPL hair removal system. Not sure what the difference is? Backtrack to learn more. This means the Tria Laser Hair Removal 4x uses the same technology as dermatologists, specifically an Advanced Diode Laser. The Tria Laser Hair Removal 4X was the first true laser hair removal system approved by the FDA. And it is still the ONLY laser hair removal system approved by the FDA for at home use. The other systems we review later are IPL laser hair removal systems. So if you have done your research, or want to try a laser hair removal system not an IPL system, this is the best and only option aside from visiting a dermatologist. Every other at home laser hair removal system requires cartridge replacements after a certain number of laser flashes. The Tria Laser 4x is the only machine on the market that requires no cartridge replacement. What this means is that the Tria Laser 4x has no recurring costs. The initial cost is the only investment and after that there is $0 in ongoing costs for life. There are cheaper at home laser hair removal systems available but if you plan on using your system or device for a long time, then the initially pricey Tria Laser hair removal 4x averages out to a similar dollar investment. So how does it avoid new cartridges? 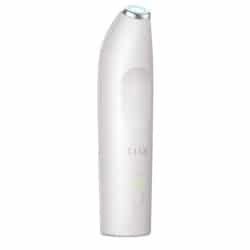 It is a cordless handheld at home laser hair removal system that uses a recharging station. Each session with the Tria Laser Hair Removal 4X lasts 40 minutes and then you recharge it for your next session. The Tria Laser Hair Removal 4X comes with an LED display that shows you battery levels and how many pulses you have used during your session. It also comes with a Skin Sensor that unlocks the Tria for use, if you have the correct skin tone, and relocks the system after you are done with your hair removal session. We and countless other users have found that the Tria Laser Hair Removal 4X is more effective on facial hair than any other at home laser hair removal device on the market. This is in part due to the technology and in part due to the design of the Tria Laser Hair Removal 4X. The handle and the applicator allow for precision while emitting a large amount of laser energy. This make the Tria Laser Hair Removal 4X a top choice for best at home laser hair removal for brazilians, face, underarms or another smaller area with lots of hair that needs a great attention to detail. To read more customer verified Tria 4X reviews, click here. Note: Many of the other great at home laser hair removal devices cannot be used on the face. You can use the Tria anywhere on your body, not just in high density hair areas or small areas. But the portability of this device makes it great for areas where you need to very careful (like your eyes… keep away! ), making the Tria Laser Hair Removal 4X the best at home laser hair removal for face and body. This device will not successfully treat dark skin or very light hair, like blonde, grey, or white hair. We have reviewed at home laser hair removal devices that work on dark skin – skip ahead to the Tanda Me or Illuminage at home laser hair systems if you have dark skin. It cames in a variety of colors, like turquoise, graphite, fuschia, and more. And compared to some at home laser hair systems, it is minimal in size. You can charge it and even take it along during travel. To read more about Tria 4X product specifications, click here. Despite the initial cost, the Tria Laser Hair Removal 4X comes out ahead when you factor in its other features. And it uses the same laser used during costlier dermatology sessions. So if you’re looking for a professional grade hair removal system for at home use (especially for facial hair), there isn’t a better option available on the market than the Tria Laser Hair Removal 4X. Remington was one of the first to introduce a laser treatment system for home use to the public. Despite the competition, the Remington iLight Pro is still one of the most reviewed and dependable hair removal system available. The Remington iLight Pro Hair Removal System is an IPL hair removal system and was one of the first of its kind on the market. Since it’s debut, Remington has introduced several iterations of the iLight Pro and we will cover some of them too. The Remington iLight Pro Hair Removal System that shows a reduction in hair in only 3 treatments. 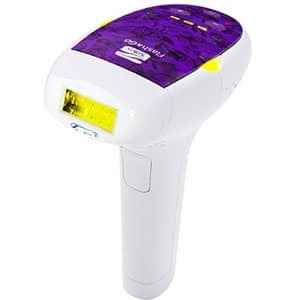 The cartridge has 6000 flashes, which is enough for 10 full body treatments. And there is one replacement cartridges included, so there are 20 treatments in the Remington iLight Pro Hair Removal System total. Need more? Replacement cartridges for this system are highly affordable, usually $30-40 per cartridge. There is a skin sensor on the iLight that is touch sensitive and detects your skin color. It only operates if you have it pressed up against your skin and your skin is in range for this machine. If you are not yet holding it against your skin or your skin is too dark, then it will not flash. This is a great safety precaution because the flashes can affect your eyes, and even cause long term blindness. So you only want the machine flashing if it is pressed on skin and not near your eyes. 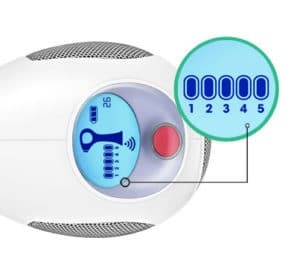 If your skin is out of range for this machine you can end up with skin burns, so the machine will refuse to operate so you do not end up with accidental burns on your skin. iLight is corded and needs to be plugged in to use, which makes this system bulky. So it is not as travel friendly as certain other more compact options. The larger applicator face of this device makes this a great choice for larger areas like legs, arms, and bikini hair removal. IPL technology also helps target more hairs with each flash because IPL uses diffused light. So you will notice that that applicator screens on most IPL machines are larger. Will this at home laser hair removal system treat dark skin? No. (skip ahead to the Tanda Me and Illuminage reviews) It also will not work on grey, white, or blonde hair. To read more about Remington iLight Pro product specifications, click here. However, for this reason, do not use the Remington iLight Pro Hair Removal System on your face or anywhere near your eyes! The diffused light targets a larger area and even if your eyes are closed, it can hurt your eyes. If you need facial hair removal, use a device with a more controlled liked the Tria Laser Removal 4X reviewed above or the Tria Hair Removal Precision reviewed below. Do not use this on your face! Use the Remington iLight Pro Hair Removal System anywhere, except on or near your face and eyes. To read more customer verified Remington iLight Pro reviews, click here. 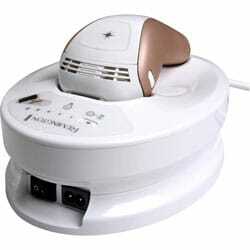 Amongst at-home laser hair removal systems, this is our favorite for whole body laser treatment. While the Tria products use a different kind of technology and travel friendly, each flash only treats a small area. The Remington iLight Pro Hair Removal System has a larger treatment area with each flash and is a more convenient option for treating bigger areas like full arms or full legs. So if your primary goal with laser hair removal is removing hair from your body and not your face, the Remington iLight Pro Hair Removal System should be your first choice. Silk’n is another veteran maker of at home laser hair removal devices, and there are variety of models available to purchase. Many of them are similar to the Remington review ed above with bulky recharge stations. However, the Silk’n Flash & Go is a at home hair removal system that is not bulky and can be used on both face AND body at home hair removal. The Silk’n Flash & Go is a versatile at home laser hair removal system. Unlike the Tria’s small flash face or Remington’s limitation to using it only on the face, the Silk’n Flash & Go can be used for both body and face at home laser hair removal. If you want to removal hair from all over your body, this may be the best of both worlds for you. Like the Tria, the Silk’n Flash & Go is also cordless. There is a corded charging station, which is also small and easily packable. This makes the Silk’n Flash & Go a good system for those of us on the go, who need a system that can be charged and used from anywhere, and minimal in size. Also like the Tria, the Silk’n Flash & Go needs no cartridges or refills for the IPL flashes. So there is no recurring cost after the initial purchase. Many laser hair removal systems have a short delay between each flash, varying from 1 to 5 seconds. This means that after each flash, you need to wait a short interval before you can push the flash button again. The Remington machine has this delay, as does the Silk’n Flash & Go. However, the Silk’n Flash & Go has upgraded it’s technology to minimize this delay to less than a second. This makes this a faster machine to use. But its flash applicator face is a bit smaller than Remington. So, if you are covering a large expansive area, you may find that it takes about the same time to treat with either the Remington or the Silk’n Flash & Go. However, the Silk’n Flash & Go will definitely treat a smaller area much faster due to it’s shorter interval between flashes. Does it treat dark or tanned skin, or grey and blonde hair? No. To read more about Silk’n Flash & Go product specifications, click here. So why isn’t it our number one? The flash applicator face is still smaller than the Remington device. If this had a larger head that could cover larger areas faster, this would easily head the pack. Still, for at home laser hair removal of brazilians and bikini or underarms, the Silk’n Flash & Go offers the speediest treatment. The Silk’n Flash & Go is a great “medium” for at home laser hair removal that can treat both face and body. However, if you’re looking for the most effective and well designed at home laser hair removal device for face or for body, we’d recommend going for a Remington or a Tria instead. If cost is the main driving factor, then the Silk’n Flash & Go is worth a try before you go for a more expensive machine. To read more customer verified Silk’n Flash & Go reviews, click here. The Silk’n Flash & Go has Tria’s efficiency and good design, and the Remington’s ability to treat larger areas on your body. Combined, this is a good at home laser hair removal product for face AND body treatment. With no added costs, improved technology, this IPL at home hair removal system is a contender for the top spot in this list. 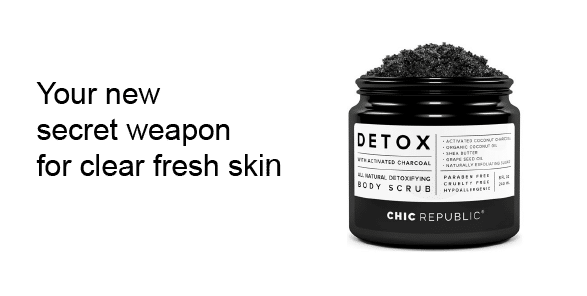 But if you intend to treat your face or your body, investing in the pricier Tria or a Remington might pay off more in the long term. The Tria Hair Removal Precision is the Tria 4X boiled down into an even more compact and lightweight design. Need to travel light? You can easily pack this in your toiletries bag or luggage. Need a smaller at home laser hair removal device for a small treatment area? The Tria Hair Removal Precision fits the bill. The Tria Hair Removal Precision is essentially the same at home laser hair removal device as the Tria Laser Hair Removal 4X condensed into a smaller size. Tria intended for the Tria Hair Removal Precision to be used in areas that harder to reach with the larger flash screen of the Tria 4X. Remember, the flash applicator of whatever at home laser hair removal system you decide to try, must be completely flat against the surface of the skin to treat the hair follicles. 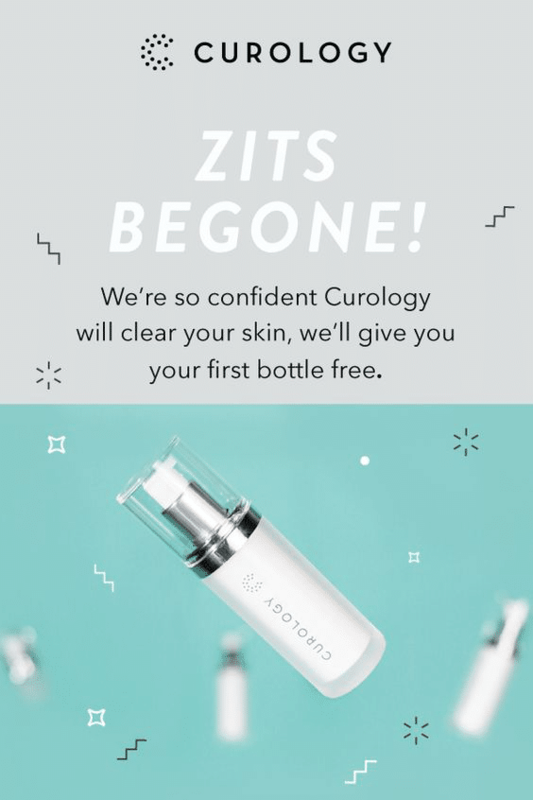 So in certain areas with curves and bends, like your groin or your breast, it may be difficult to get the entire flash applicator face flat on your skin. In these areas, you may find that a smaller at home laser hair device like the Tria Hair Removal Precision helps treat more effectively. Like the Tria 4X, this device does not treat dark skin or very light hair. Another potential benefit of the Tria Hair Removal Precision is its minimal size. It can fit in your toiletries kit or a purse, as it is about the size of an electronic toothbrush. So if you travel often and travel light, the Tria Hair Removal Precision’s size could be a huge benefit. To read more customer verified Tria Hair Removal Precision reviews, click here. Otherwise, if you do not need a smaller flash applicator or can work with the slightly bigger size of the other devices we have reviewed, we recommend going with the Tria 4X, the Remington, or the Silk’n Flash & Go first. 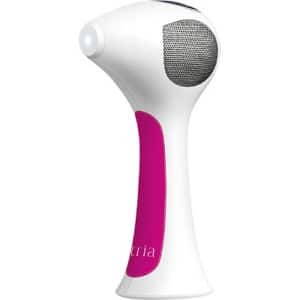 Then if you find that you are still missing patches of hair in curvy areas, then you can try to treat those sections with this handy Tria Hair Removal Precision. The Tanda Me Smooth, also called Elos Professional, is the first of the two best at home laser hair removal systems for dark skin that we reviewed for you. Laser hair removal for dark skin is still a very novel industry, as historically if you had dark skin, you were immediately disqualified from this particular method of hair removal. The Tanda Me Smooth also works on lighter hair, like blonde hair. And it is the only at home laser hair removal system for blonde and red hair that is effective. It does not work on white hair. However, with new research advancements in laser technology, at home laser hair removal systems for dark skin and light hair hitting the market, with the Tanda Me Smooth currently leading in effectiveness and good design. The Tanda Me Smooth (Elos Professional) was one of the first at home laser hair removal devices that had a wide enough range of acceptable skin and hair colors to include dark skin and light hair. It effectively treats hair that light like blonde as well as skin tones that range from olive to dark. These normally fall outside of the range for the other laser and IPL systems that we have reviewed. The Tanda Me Smooth (Elos Professional) is a corded system that needs to be plugged in to use. It has 5 different intensity levels for the IPL laser light, and you can tailor your treatment to use any of the 5 levels or build up from the lowest level. This system also requires replacement cartridges. However, each cartridge lasts for 100,000 flashes, or several full body treatments before you need a new one. The replacement cartridges are also very reasonably priced, ranging from $30-40 each. The Tanda Me Smooth (Elos Professional) can be used on both face and body. It is also very efficient system that allows you to treat a full leg in 10 minutes and full body including face, in only 20 minutes. To read more customer verified (Elos Professional) Tanda Me Smooth reviews, click here. 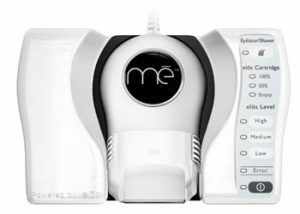 For anyone looking for an at home laser hair removal system for blonde hair or red hair, the Tanda Me Smooth Elos Professional is the only machine available today that shows results. The Tanda Me Smooth is also one of two machines available for use on darker skin tones that were previously disqualified from laser hair removal. It is the best at home laser hair removal system for indian skin, african skin, or anyone else with olive to dark skin. We only intended to review the top 5 at home laser hair removal systems, but the introduction of the Illuminage Touch as another best at home laser hair removal system for dark skin made it a convincing addition to our must review list. Prior to these systems debuting on the market, there was little option for anyone looking for best at home laser hair removal system for african skin or another type of olive or darker skin. But with the Tanda Me and the Illuminage Touch, the at home laser hair removal market has become more democratic in terms of skin color. Like the Tanda Me Smooth, the Illuminage Touch works for the normal ranges of skin and hair color. It also is a second option for at home laser hair removal device for blonde hair, red hair, and olive to dark skin…. all of which are normally are outside the capacities of many of the popular laser hair removal systems. 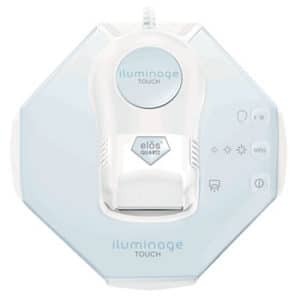 The Illuminage Touch is a corded machine, so you need an outlet to use this machine to treat your skin. It uses IPL laser to permanently reduce your hair by 94% in 7 weeks, if you treat once each week. Like some of the other at home laser hair removal system we have reviewed, here, the Illuminage Touch also requires replacement cartridges for long term use. But unlike the other devices we have reviewed, the cartridges for the Illuminage Touch seem to be quite expensive, ranging $110-140. For more Illuminage Touch product specifications, click here. Note: Normally, this price would disqualify this system from this list. But given the scarcity of at home laser hair removal devices that treat dark skin, we still wanted to include the Illuminage Touch as a bonus review. For many systems, you may find that you never end up needing a second cartridge. So if this system meets your needs in all of its other features, it may still be a good investment until that first included cartridge is used up. To read more customer verified Illuminage Touch reviews, click here. The Illuminage Touch is a second effective option for at home laser hair removal for dark skin (olive to dark) and light hair (red, blonde). The price of the replacement cartridges make this less accessible than the other systems we have reviewed, but still keep this whole unit less than the cost of laser hair removal treatments from a dermatologist. We recommend trying the Tanda Me Smooth system first, but we wanted to offer this as an option for those of us with darker skin. There are two types of light based hair removal – IPL and laser hair removal. Usually both are referred to as laser hair removal but there are some differences. IPL stands for Intense Pulsed Light. Sometimes you hear IPL referred to as IPL laser treatment, but that is a misnomer. IPL is not a laser, but rather a wide spectrum of diffused light. This diffused light does not go very deep into the skin. Dark hair absorbs many of the wavelengths of the Intense Pulsed Light, which disrupts the growth of the hair and the follicle. IPL hair removal needs some contrast between skin color and hair color so that the darker of the two, the hair, can absorb the light. So for example, IPL works well on dark haired and light skinned people and not so well on people with light skin and blonde hair or those with dark skin and dark hair. Laser hair removal involves a single and concentrated wavelength of light that also disrupts hair follicles. Specifically, the laser treatment targets melanin in hair follicle to differentiate between skin and hair. Because this is concentrated light, it penetrates the skin much more than IPL. This type of light is much much effective for very coarse or thick hair follicles. Both are effective for hair in different stages of growth and thickness. So which one to use? It may depend on your skin color and hair. There was a time when laser hair removal was only available for people with very light skin and very dark hair. However, now there are options for people who do not have as much contrast between your skin color and hair color. Still, because this type of hair removal targets pigment or melanin, it works better for certain phenotypes. Will it work for you? Let’s take a look. The first question is what color is your hair? Laser hair removal targets the root of each hair so look at the color that is closest to the root to determine the color of your hair. Is your hair color is one of the following colors or is in between the following colors? If your hair is between light brown to black, then you are probably a good candidate for laser hair removal. Is your hair color one of the following shades or in between one of the following hair colors? If your hair is blonde or a true red, or in between, you can still use laser hair removal. However, it may be less effective or take more treatments for you to see a difference. This is especially true if you are tanned. Many people with red or blonde hair have lighter tips and darker roots. If your blonde or red hair is a darker “dirty blonde” or deeper red at your roots, hair removal by laser is still a great option because it will be able to detect the dark hair follicles. Do you have grey or white hair? Grey or white hair makes it very hard for the light in laser hair systems to hone in the hair follicle. If your hair color is grey or white, laser hair removal will not be effective for you. Usually people have grey or white roots, but you may have a mix of white and darker hair. In this case, the laser hair removal systems will detect and kill the darker hair follicles. So while you may not be able to disrupt all of the hair follicles, you will see a reduction in hair as the darker hair follicles are eliminated. The second important question to ask is what is your skin color? If your skin color is pale white to light brown or light olive, then you are a great candidate for laser hair removal. Just like very light hair makes it hard for the laser hair removal light to differentiate between hair and skin, darker skin also makes it harder to differentiate between hair and skin. If you have dark skin like any of the above, then most laser hair removal systems may not work very well for you. As of a year ago, there were no options for darker skinned people. Now there is 1 system on the market that shows a great reduction in hair for a wider range of skin colors, including dark skin – the Tanda Me Smooth and Iluminage Touch. Click here to skip to our reviews for Tanda Me Smooth or Iluminage Touch. You’ll also find it at the end of this guide in the review section, if you would like to continue reading. There are a few facts and realities to keep in mind before you start using an IPL or laser hair removal system. Usually, you do not see this kind of section in a product guide. But understanding the limitations of laser hair removal will help you make a better choice in your hair removal journey. Many IPL and laser hair removal systems have been cleared by the FDA for home use. A key term you may see in the marketing language of many of these systems is “permanent reduction” in hair. Notice that it does not say permanent removal. This applies to both the systems approved for home use and those used in licensed medical offices. Neither can be marketed as permanent hair removal solutions. Be wary of laser hair removal providers that promise permanent hair removal. Many of these providers even offer extra sessions if you do not get permanent results, which could be a great insurance plan. However, please know that none of these options are cleared by the FDA as permanent hair removal solutions because they did not find that IPL or laser hair removal systems could accomplish that for every user. This is because each of these systems show varying results in various people. Some people are able to use them with great results like permanent hair removal. Others notice a permanent reduction in the hair that regrows after a few sessions. So you may also get varying results with these systems. Normally, people with high contrast skin and hair – light skin and dark hair – see tremendous results with these machines with either an almost or a total permanent hair loss in the treated areas. You may also get varying results on various parts of your body, with finer hair disappearing faster. Even if you do not quickly accomplish total hair removal, you may be interested in extending the times between how often you have to remove hair. Many people find that way less hair grows in the treated areas, and they only need to use the laser hair removal system or another method of hair removal a few times a year. Cutting back how much time you spend on removing hair may make laser hair systems a worthy investment. With both IPL and laser hair removal, users notice increasingly positive results with each use. However, the number many treatments needed to see the results will vary person to person. So is there an FDA approved total hair removal system? Yes, electrolysis. Electrolysis is approved by the FDA as a permanent hair removal solution. It treats 1 hair at a time, and so can be a time consuming process. For this reason, it is also a costly option at dermatologists and hair removal salons. For much larger areas like arms or legs, it can cost thousands of dollars. Ultimately, laser hair removal systems are an accessible and easy way to remove hair for long periods of time, if not forever. If you find yourself shaving or waxing frequently, laser hair removal will greatly reduce how often you have to remove hair. With continued treatments, less and finer hair will regrow and with less frequency until there is little to no hair left to remove. So if you’re looking for a hair removal method that is more permanent and long lasting than shaving, sugaring, waxing or epilating, laser hair removal is an excellent option to try. There are countless laser hair removal systems available now. Many of them cost about the same as a good wax kit or an epilator, so there is no reason to not try a laser hair removal system if you don’t already wax or use an epilator. Imagine not having to wax, shave, or epilate for weeks instead of only days! There are several laser and IPL systems available in the at home laser hair removal systems. Some of the best options use the same technology as those in professional settings, and others use different laser technology that works equally well. But since these laser hair removal systems have entered the consumer market, there have been many advancements in technology. A good laser hair removal system should be equipped with an up to date laser technology. Many at home laser hair removal systems require cartridges to work and come with a set number of cartridges to use as you need. These cartridges hold a certain number of flashes that disrupt the hair follicle and kill the hair before they need replacement. If you plan on purchasing an at home laser hair removal system with the intention of removing as much hair all over our body and face as tolerable, you will need more cartridges at some point. So it is important to take note of how much surface area a cartridge might cover and if replacement cartridges are easily available. Replacement cartridges are an added cost. Of course, if you only plan on using your at home laser hair removal system for a small area like underarms or the upper lip, then you may never need to look for replacement cartridges. Some at home laser hair removal systems are battery operated or rechargeable. Others are corded and can only be used when they are plugged in. Depending on where you plan on using this device, or your lifestyle needs, this feature may be another key to making a decision. The laser removal systems that require an outlet or are corded tend to be bulkier and would be hard to take along while traveling. You’ll also need to use them near an outlet. Rechargable at home laser hair removal systems are usually lightweight, easy to handle, and you can use them easily at home or while traveling. You may find that it is hard to do a full treatment of a large area, like both legs, with a rechargeable device. But if you want a more accessible device that you can take with you anywhere to touch up your face or underarms, then a rechargeable or battery operated device is more ideal than a bulky corded machine. The range of skin color and hair colors for each laser hair removal device is probably the most important feature to note. A good at home laser hair removal system will work on a wider range of skin and hair colors. Skin color can change from body part to body part and even over the course of the seasons if you tan easily, so even the traditionally ideal candidate – light skin and dark hair – can benefit from a wider range. If you have less contrast between your skin and hair, this feature is especially important. Blonde or red hair and light skin, or dark hair and dark brown skin, make the hair follicles harder to detect for the laser hair removal system. Make sure to pick a laser hair removal system you choose has a wide range of acceptable skin and hair colors. Or a better question: What is the highest level of pain you can experience during laser hair removal at home or at a professional office? If you have a low tolerance to pain and very sensitive skin, you can compare it to the pain of snapping a rubber band against your skin. Personally, we do not find it nearly as painful. For someone with average sensitivity, it may feel more like a light pinch and a warm sensation. Everyone also has various areas of the body with less or more sensitivity. Some people find that less sensitive areas register no pain at all. Compared to other methods of hair removal, laser hair removal is less painful than both epilating and waxing, and more painful than just shaving. You have to shave before every laser hair removal session. Laser works best if the hair has been cut down so that it can treat as close to the hair root as possible, and kill the root. Helpful Tip: For IPL hair removal systems, we recommend wearing a pair of laser protection eye glasses. Because IPL is diffused light, there is greater risk of laser hitting sensitive areas like eyes and resulting in irreversible damage. Helpful Tip: For larger areas, use a white eyeliner pencil to create a grid so that you know exactly where you have treated and can cover the whole skin surface without leaving untreated patches. Remember to use a white eyeliner pencil because the laser hair removal system will pick up a darker color as a hair follicle where there is none, and that can lead to a skin burn. 4. Wash area again to remove singed hair smell (if present) and white pencil marks. Apply a noncomedogenic lotion. Helpful Tip: Some may smell singed hair after treatment in certain areas of your body. We have found that coarser hair tends to lead to this singed hair smell. It is nothing to be concerned about. To get rid of the smell, just wash the newly treated area and carry on your skincare routine.